Finite tight frames are widely used for many applications. An important problem is to construct finite frames with prescribed norm for each vector in the tight frame. 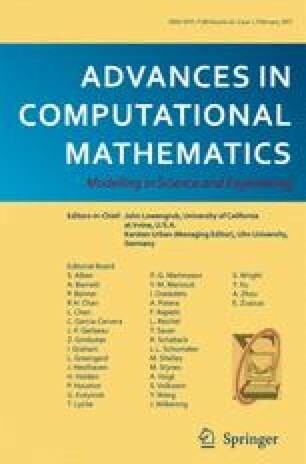 In this paper we provide a fast and simple algorithm for such a purpose. Our algorithm employs the Householder transformations. For a finite tight frame consisting of m vectors in ℝn or ℂn only O(nm) operations are needed. In addition, we also study the following question: Given a set of vectors in ℝn or ℂn, how many additional vectors, possibly with constraints, does one need to add in order to obtain a tight frame? De-Jun Feng: Supported in part by the Special Funds for Major State Basic Research Projects in China. Yang Wang: Supported in part by the National Science Foundation, grants DMS-0070586 and DMS-0139261. 2.Mathematics DepartmentSouthern Polytechnic State UniversityMariietaU.S.A. 3.School of MathematicsGeorgia Institute of TechnologyAtlantaU.S.A.